The last post of the year comes from a rather cold, rather foggy, and rather wet London town. As I look out of the window here in my office, it looks a little bit festive… but not really picture postcard stuff, hence the image used here… which does the trick! However, I’ve just lit the fire, and there’s some Mulled Wine on the stove, and all the presents are wrapped… so things are looking up! Wherever you’re reading this right now, I hope you have a very Merry Christmas and Happy New Year. 2007 was very eventful but seems to have flown by. 2008 will no doubt bring a whole host of exciting things to write about and discuss in the wonderful world of radio. As Christmas is the one time of year you’re allowed a certain amount of ‘schmaltz’, let me use up my ‘schmaltz quota’ and say thank you to all my fantastic clients around the world (you know who you are!!). It’s been great fun working with you all, and I know we’ve done lots of good stuff together throughout the year. Here’s to a prosperous and successful 2008 to you all! Capital - No longer Mullered! The news of the departure of Programme Director of Capital 95.8 - Scott Muller – wasn’t exactly unexpected when it reached me today. Not because I had any inside information. Far from it. But the significant changes made by new MD Paul Jackson less then a fortnight ago only signalled one thing. The clock was ticking on Mr Muller’s reign. It was a pretty safe bet! Having once sat in the (now seemingly vacant) hot seat of Capital PD, and been ushered to exit stage left slightly prematurely (in my opinion! ), I’m sure Scott feels that his tenure was also cut slightly short. We’ll never get the opportunity to find out if his particular vision to move Capital to a more CHR sound aiming at 15-30 year old Londoners, will have won the day. It seems a genuine shame that the person who was described in the GCap 2006 Annual Report (and named, several times no less!) as “… a world class programmer with the specific skills and experience to help us take the station to the next level” is no longer deemed appropriate to continue in that role. What does today’s announcement tell us? That he didn’t succeed? That he’d reached the next level – job done? Not really. I think Scott did a pretty good job with the sound of Capital. As a 15-30 year old station, it’s quite well placed. Whether the strategy was right in the first place, and whether the “2 ads in a row” policy can be called a success is another question for other to judge! But the station still isn't back at number 1. 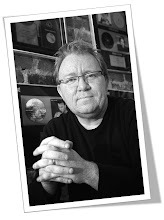 What this whole affair should really remind us of, is the fickle nature of the radio business generally and the pressure to succeed at the top. The “saviour” of a station one moment, can be the person moved on to do “special projects” the next. A reflection of their limited ability and poor recruitment? Or an indication that whoever "holds the wheel" at any given moment can change direction (and first officer!) to suit their own agenda? Take your pick! With the wonderful Annie O' Neill appointed as Programme Manager, the hugely talented Sheena Mason continuing as Head of Music, and MD Paul Jackson having his hands firmly on the levers of programming, perhaps this combination will provide Capital with some much needed stability. 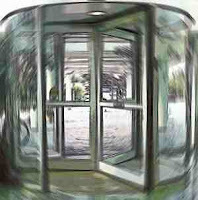 Let’s hope the revolving door has now come to a halt. Can you please give me lots of information about German media company Bauer, so I can draw some conclusions about their possible intentions for EMAP's radio division, that they have just agreed to buy. It would make me very happy, and may even enlighten some of my readers who work for EMAP and are currently wondering if they’ll be having a “Glückliches Weihnachten” or not. PS – I’ve been a very good boy this year. 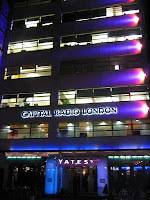 The wind of change has once again swept through the 3rd Floor of Leicester Square, where Capital 95.8, has had another re-shuffle. Bam Bam, who only joined about 9 months ago, is no more. His show has been given to Lucio, who comes off Drive to make way for Greg Burns, who was joining to do mid mornings, but now that's gone to Margherita Taylor. Following things so far? New MD Paul Jackson has wasted no time asserting his authority and stamping his mark on the output. Quite what this does for the authority of the current PD Scott Muller is another question, as it's all his changes that now seem to be being unravelled. There's no doubt that Bam Bam is a talent broadcaster. Was Capital the right move for him? We'll never really know... but there now exists an opportunity for him to reinvent himself completely. My feeling is that he should do adult based speech radio on something like LBC or Talk Sport. That's where his talent lies and hopefully someone will see that. And as for the changes at Capital. Greg Burns will be great on Drive. For me Lucio never really cut it on that show and maybe evenings is a better home for him. Margherita is a quality broadcaster, and I'm pleased for her that she's back 'front and centre' of the lineup. One thing is for certain. Listeners don't really like change that often, and a number of significant changes to the music, production and line-up will leave the listeners wondering what it's all about. Imagine your favourite restaurant kept changing the menu, the decor, the layout. Eventually you'd find a new place to dine. We're all creatures of habit. We like consistency. Let's hope that the 'wind of change' has now died down at Capital. At least for a while! For those of you who couldn't make it to NAB Europe this year, those nice people from NAB have conveniently put a selection of the presentations on their website http://www.nabeurope.org/ for all to see. There's an interesting range of topics from "Building Sucessful Radio in Emerging Markets" to "The Impact of Latin Music Worldwide". (You may need your 'Google Translator' for this one!). My presentation on the topic of "Does Radio Have a 10% Plus Media Share in your Country?" is also available to download. Feel free to email if you have any questions about it. In the meantime, what exotic, sun soaked location can we all look forward to for NAB next year? I always enjoy my trip away... and in November 2008 I'm going to pack my shorts and sun-tan lotion and head off wor a winter break to... (opens envelope) oh.... it's London... in November!! Well. I'll see you there... if you can make it through the fog and rain!